It’s amazing and so generous when people in high positions protect us. I get goose bumps just thinking about. And the trickle-down effect is marvelous. What’s interesting is how political figures, even Generals, don’t seem to know how condescending they sound. Or, more to the point, how condescending they are. That’s the macro-level, sophisticated space satellites and all. But there’s also the micro-level. I call it the Trickle-Down Security State. This morning on my early morning walk, I thought of this. In sunny Florida, before sunrise is the best time to walk. I time my walk so I see the sunrise on the beach. I’ve noticed the security features that have sprouted over the years. My Condo is an example. It’s quite modest. Renters are mostly above minimum wage workers, retired folks on Social Security and individuals drawing disability. I’ve owned here since 2006. There hasn’t been a violent incident or crime during that time but fear there is. Increasingly so. Really, that’s how America is beginning to look – and feel – like a truck stop that you can’t escape. You can barely turn around without a security check. Our movements are monitored by national, state and local officials. The worst of it is when local folks get the national message. Some rise to the occasion to protect us – from ourselves. What is their qualification to initiate the Local Security State? Mostly a racist view of the universe. White is right. On the Jewish scene, ramp up the National and Local Security State into an International Security State that monitors everything and everyone for one purpose – to protect Israel. How that translates locally is for tomorrow. But, as a preview, anyone who has opposed Israeli policies knows that all security, like all politics, is (also) local. The war on terror has little, if any, relation to actual terrorism. Heck, a little terrorism is useful in justifying the war on terror. The obvious reason for our burgeoning national security state is control of the domestic population. Worldwide, the elites foresee increasing civil disobedience as a consequence of neoliberal austerity and are prepared to deal with it coercively. 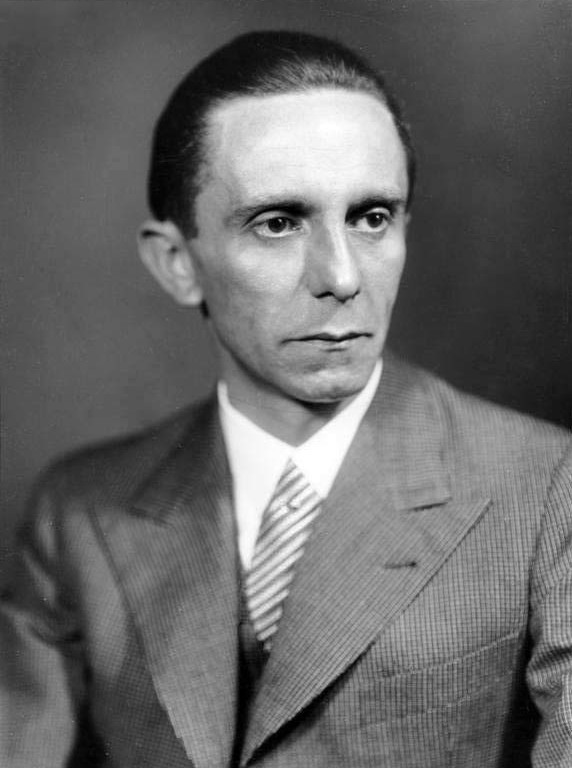 MY COMMENT: Joseph Goebbels with his highfalutin PhD couldn’t have said it any better! ! !